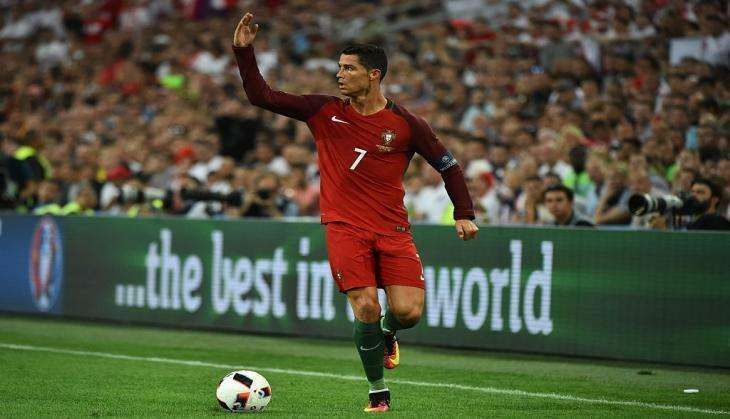 Portugal's star striker Cristiano Ronaldo believes his side will script history in the tantalizing Euro Championship final on 11 July despite hosts France being the 'favourites' for the continental tournament. "France is a bit more the favourites than us, but I think Portugal will win," Ronaldo was quoted as saying by goal.com. Portugal will aim to erase harsh memories of the Euro 2004 final defeat to Greece, which left the Real Madrid striker crying on the pitch. In the ongoing competition, the Ronaldo-led side peaked at just the right moment, beating Wales 2-0 in the semifinal to reach their first Euro Championship final since 2004. The 31-year-old Portugal captain now has the best chance of winning his first international title of his glittering career when his side take on the tournament hosts at Stade de France. "It would mean a lot. It's something I've always dreamed of, to win with the national team," Ronaldo said. "I have won everything at club level and the individual level, this would be a great achievement to win something for the Portuguese team. "I believe that this is possible, as do my colleagues and the whole country also believe. We must have positive thinking because I believe that on Sunday will be the first time that Portugal will win a major trophy."